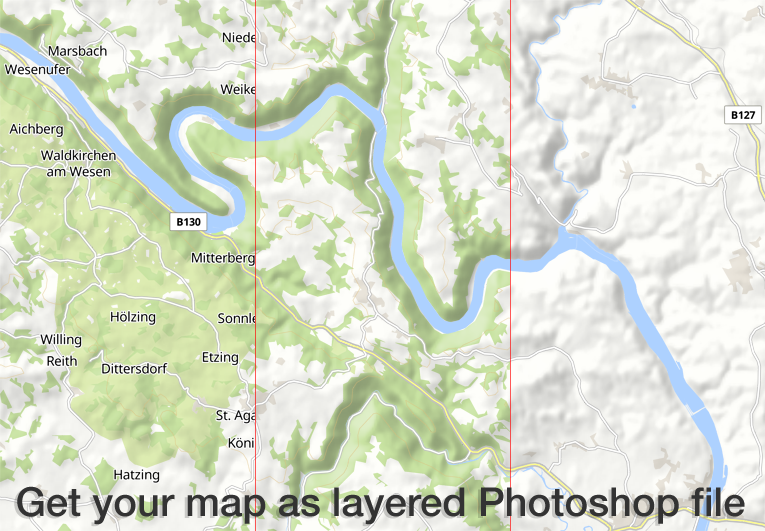 If you have worked with Mapz.com from the renowned cartographers Kober-Kümmerly+Frey, you’ll be interested to see how Printmaps.net stacks up compared to Mapz. Starting at €15. Price model depends on the number of copies the map is used for. Depends on the size, resolution and format of the map. 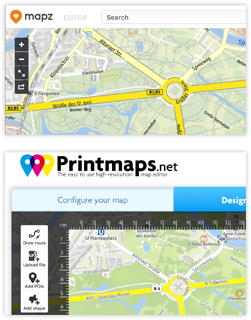 The Printmaps editor produces high-res 300 dpi maps in PNG and PSD (Photoshop) format. All map features come in separate Photoshop layers, so you can edit map features without damaging any features underneath. See our screencast for more details. 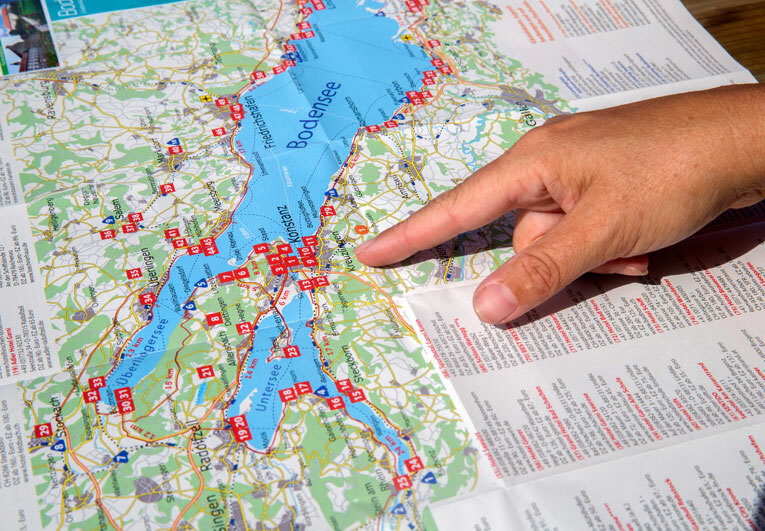 Our customers use the Printmaps editor to effortlessly map routes – travel itineraries, hike and cycle trails, city walks or simply directions – and to overlay their points of interest on a map. The editor makes it really easy to create fold maps, maps for touristic folders and brochures or guide book maps. Our cheap entry level pricing enables customers with very low print circulation numbers to afford our maps. 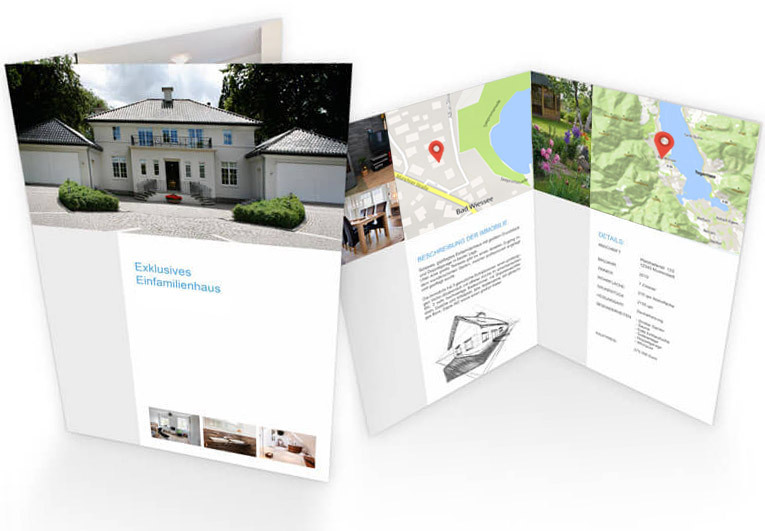 A typical example includes real estate exposés that are printed in low numbers but need high quality location maps. 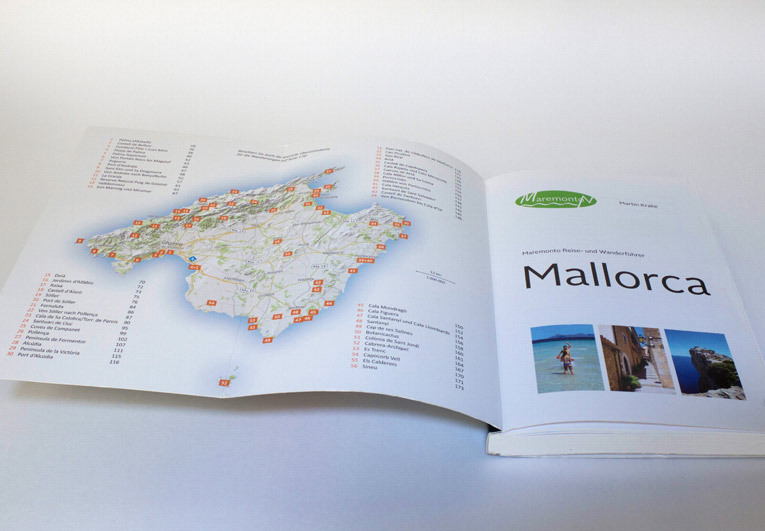 Many guide book publishers illustrate their travel guides and hiking guidebooks entirely with Printmaps maps. You can satisfy all typical mapping needs with our maps, ranging from overview maps and general location maps to activity maps with hiking or cycle routes, city maps / street maps to direction maps.